We all know how important brows are to the face and we all want fresh, fashionable, and totally groomed brows. Did you know solid, powdered in brows are so last season? What’s on trend? We want a full, brushed and deepened brow that is enhanced but natural looking, even close up. The key to this look is a tiny pencil, matching your shade of brows, applied with short, angled strokes. After you apply the pencil in the direction of hair growth, you then use a tiny brush to push brows up and out to show off fullness. 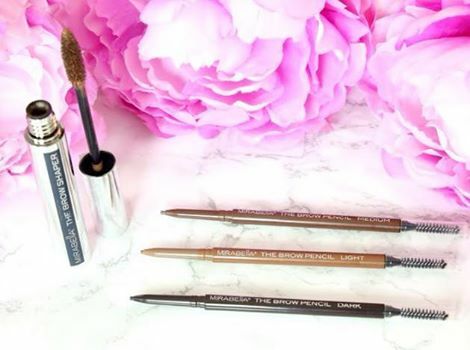 Finally, set the look with Mirabella brow shaper. Need more How To? Check out the short video below that not only shows the steps, it helps you find the proper place for your brows to end and begin. Thank goodness for brow gurus and Youtube! Still feel clueless even after the video? Come to the salon- Your stylist is waiting to help you! Bright hair is everywhere lately! Mermaidians and Unicorn tribe is now a way of life. Some people go big, transforming their hair, reminding this blogger of My Little Ponies, in a great way! If you have been thinking of living in Technicolor, read below to know some basic facts about taking the plunge into a vivid, colorful hair dream. How do you get your hair this Rainbow Bright? The key to these colors’ vibrancy is a two-step process. First, the hair must be pre-lightened (read bleach) to achieve a light enough canvas to see the hue. Some colors require more lightness as a background than others. Pastels are only achievable on the lightest of pale blonde hair. Hot tip: if your stylist suggests Olaplex, Ph Bonder, or other strengthening treatments- do it. Bright colors don’t last on compromised (read: fried) hair. The stronger your hair, the better the results. After the hair is lightened, the direct dye (the most vibrant hair color available) is deposited on dried strands. This process is known to be lengthy, so younger kids and fidgety people, beware! That being said, if only some parts of the hair is to be super colorful, I do recommend a gloss or some color on the other parts of the hair so the shine is consistent. For example, if you are just putting hot pink on the ends of your hair, a gloss on the root area to the pink really completes the look. Lets talk about salon maintenance. This looks really needs to be refreshed every 4-6 weeks depending on your shampoo schedule. FYI- the lightening does not have to be done every time, just the color deposit if you don’t mind how your hair has grown. This really depends on the look that you are going for. Unfortunately, the maintenance for this look does not end with salon visits. A color protecting shampoo and conditioner are a MUST for this adventurous look. If you heat style your hair regularly, a heat-protectant is also needed. Dry shampoo is a great way to stretch out time between shampoo, making color last even longer. After washing your hair, be mindful of the towel or any other cloth that comes into contact with your wet hair. White towels can become pink; pillowcases can grab purple, etc. Some colors even glow under black light. Be forewarned that while rocking this awesome look, people will stare at you. People will ask you if that is your natural color ( har-de-har, dad jokes). But some say that is the best part! This is not a look for wallflowers. You can always do a little peek-a-boo piece to see if you are ready to commit. One last thing to consider: removing the direct dyes that are used for these looks is best left to a professional. We have lots of tricks up our sleeves, but know, as awesome as we are, changing you back to “normal” can be a process. Don’t let that scare you – talk to your stylist today about a jewel shade or candy hue today! Your Hair Wishes You Would Use This! New! 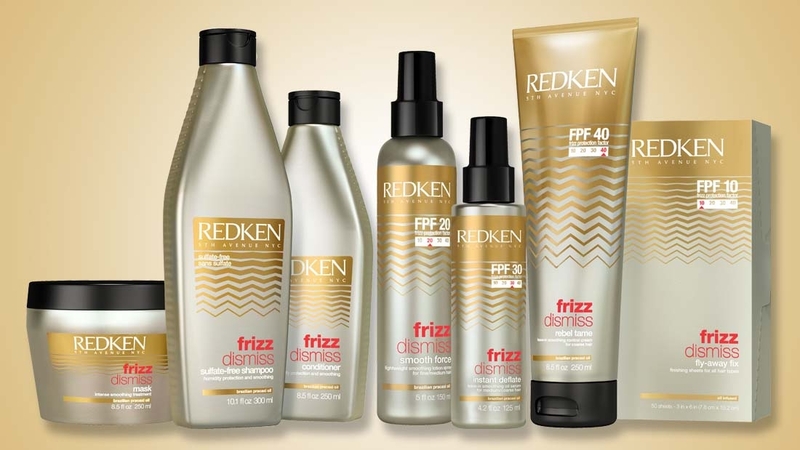 From Redken, comes an all-in-one multi-benefit treatment. How can I say your hair wants you to use this with so many types of hair? How can one product be so diverse? 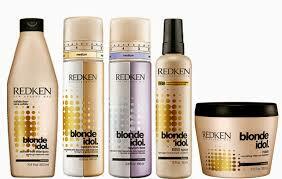 Well, mostly because Redken is amazing but more specifically this leave-in/rinse-out treatment is for all hair types. Hence the name, One United. One United boasts 25 unique benefits for those of you who need to know- they are listed at the end of this post. Some of our favorite qualities are coconut oil lightly blended into to provide condition, manageability, and shine. It provides heat protection from wheat proteins and xylose sugars. It is anti-static and makes blow drying easier. This product has been flying off the shelves here at Salon Disegno. After shampooing, simply spray evenly on damp hair. Leave-in for nourishment or rinse-out after 1-2 minutes for light weight condition. 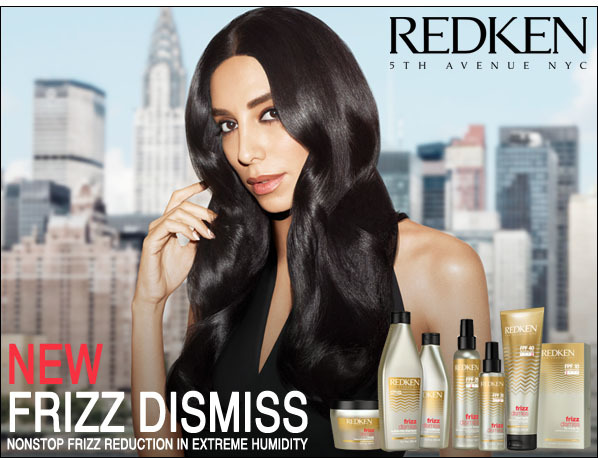 The biggest thing we noticed is that after one application, hair felt silkier and healthier, and made the blow dry much easier- especially with the frizz. Try a petite size or fall in love with super-generous size, 13.5 oz. One of the main reasons people color their hair is to conceal grey strands. Due to age, stress or heredity, hair can start to grow in grey. This complex phenomenon is due to strands stopping production of melanin, thus appearing white. White hair mixed with natural color appears grey, and the higher the percentage of un-pigmented hair, the more grey the hair appears. Most people associate grey hair with old age or aging (current grey hair trends excluded) and therefore, we tend to cover the evidence of time passing with chemical hair color. Naturally, we don’t want to look old so we start the love affair with permanent hair color. This involves maintenance, aka scheduled “root touch-ups”. After an amount of time, some people choose to let their natural hair show through and go for a look that requires less maintenance. This is where this hair blogger is going to insert her two-cents. When deciding to stop coloring your hair an extremely different color than what naturally grows out of your head, some folks just simply stop coloring the hair. Just let that salt and pepper sloooooooooowly grow out. This is a harsh look. It is very obvious what is going on. Completely stopping a high-maintenance beauty routine is very obvious. Honestly, it is just not flattering. At All. That being said, I’m sure if we do know someone who is perusing this route, I’m Sure it is because they don’t know about the options. There are many ways to soften the stark line of permanent base color and get away from colors every 4-5 weeks. Depending on your natural color growing in, and what you were previously coloring your hair to, I promise there is a color option to ease the awkward grow out process. The first step, because we are all different, is to discuss moving away from grey coverage to grey blending with your hair stylist. Below, I give examples of these customized options. Using a demi-permanent color process to tint lighter roots help to have a softer grow out, and less solid coverage. This option is great for people who are used to being a light brown to blonde and have 50-100% grey hair. This will still require some salon visits but much more spread out, and a great first step away from 100% grey coverage. Another option to keep in mind is using highlights and lowlights to help soften the grow out line. Dimensional color is a much softer grow out and can start letting some of your natural show through. This way your friends wont be wondering what is going on in your life that is keeping you from regular beauty treatments. These two options can be mixed and matched to fit what you have been coloring your hair, your natural color, and how often you would like to visit the salon. A great stylist can guide you to the right choice for you and your lifestyle. Lastly, a quote from a Redken Certified Stylist at Salon Disegno. So to sum up~ don’t be afraid to let your colorist know you are thinking of a lower- maintenance, more natural look. You would be surprised of the options. Hair color has come a long way, technology-wize. Salon Disegno loves to give back to Gwinnett! Earlier this month, we teamed up with Gwinnett County DFCS (Devision of Family and Children Services) to provide essentials for a perfect prom night. This 4th annual Promstarganza provided dresses, tuxes and shoes for teens in need. Along with the formal attire, teens also received hair and make-up tips for the big night! 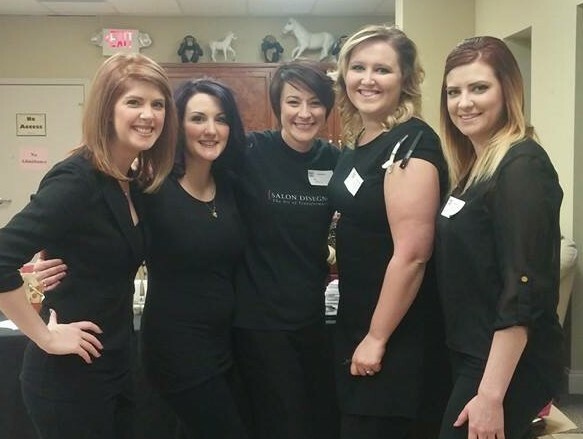 Our lovely stylists (some pictured above) donated their time and skills to be a part of this amazing event. As stylists, we get the opportunity to talk to many of the people in Gwinnett and we feel it is very important to contribute to the local community. Every month we have a specific service project. 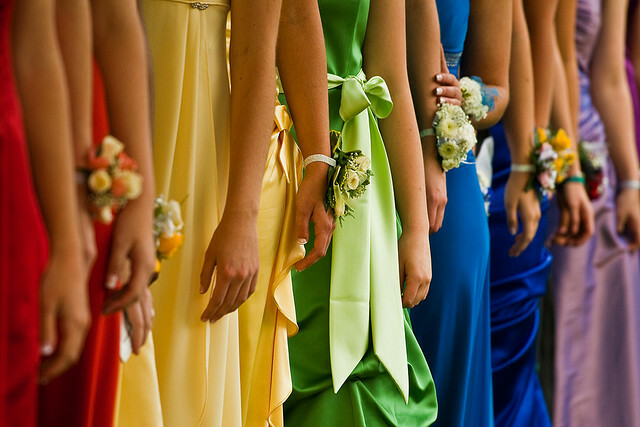 With our specific skill set, helping teens with a prom look is right up our alley. A big THANK YOU to our guests who donated gently used prom gowns, donating makes a huge difference! If you ever want to help, ask your stylist how Salon Disegno is giving back this month. Also, you can donate to our Fringe Benefits program. We draw from that to provide local scholarships and fund other projects that help out all around Gwinnett. Love how your color looks super fresh from the salon? If you are obsessed with vibrant red Ariel-stopsign hair, you know that after 2-3 weeks it’s losing that pop. If you love the icy winter Elsa blonde hair, after about the same time, the environment can cause some dullness. The worst? When your deep, chocolate brown,hair gets a little too warm or brassy. If you are as picky about your hair color as we personally are, we all know our color can lose its freshness between salon visits. The Solution? Color Maintenance & Enhancement Shampoo! This means Tressa Watercolors Shampoo. This sulfate-free shampoo, in the correct shade for your hair can keep your color looking fresh from the bowl as long as possible. Watercolors Shampoo deposit just the right amount of color while they cleanse, keeping haircolor vibrant and true-to-tone. The light reflecting pigments attach to porous parts of the hair, filling and adhering to the hair shaft, creating a color boost at every shampoo. The more you lather the shampoo the softer the color effect. This blogger has even been known to paint the shampoo on, let it sit, and then rinse for maximum color deposit. Now, with great power, comes great responsibility! Watercolor shampoos are only available from salons for a reason. Choosing the wrong shade or having hair that is very porous can lead to undesired results. This is why it is best to get a professional stylist to recommend a Watercolors shampoo for your hair and your desires. Salon Disegno has got you! Stop by either location and ask about Watercolors today. At $13 a bottle, keeping your color as fresh as possible is a no-brainer.